Superdry | Shop & Trade S.A.
An original 5 piece T-Shirt collection created in Britain in 2003 has grown into a global business with retail stores in over 45 Countries (delivered to 169 markets) including flagship stores in London, New York, Berlin, Cologne and Brussels. 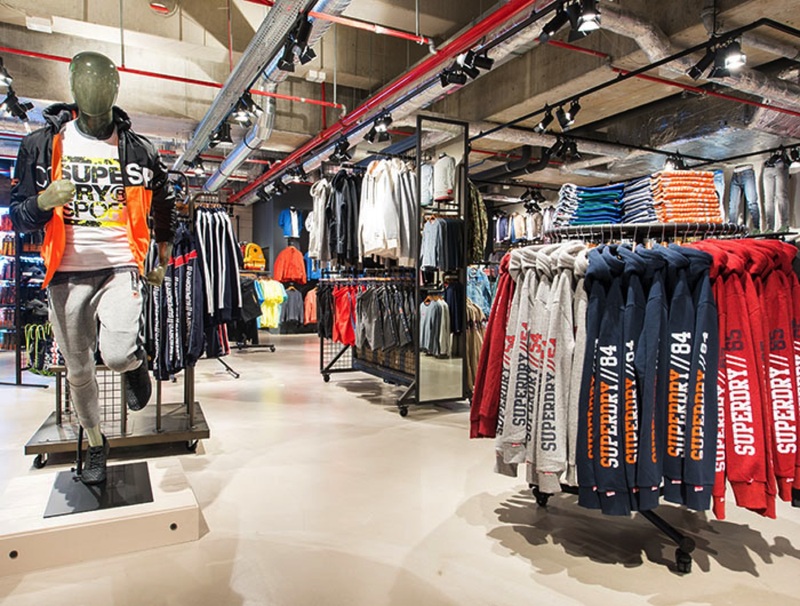 More precisely, Superdry counts today 273 franchise stores in 51 countries, 202 own stores in 12 countries and 25 international websites in 18 countries. Shop and Trade operates successfully in both the wholesale and the retail section. Experience and know-how in distribution alongside a rich brand portfolio, have built a solid basis of wholesale customers in all the countries in which we are present. Shop & Trade is also active in the fast fashion channel (pronto moda) distributing brands with a strong fashionable content at affordable prices. New samples are available on a constant basis at the company’s showrooms and the retailers can update their buying selection respectively. The main commercial proposition is based on product enrichment, faster replenishment cycles and attractive margins. We implement a diverse business model, which is based on multiple brand, multiple channel, multiple price policy. This model provides stability in shifting market trends and opportunity for growth. Shop & Trade commenced its retail activity in 2000, with the opening of its first multi brand store in Athens, followed by the opening of the first concept store in Greece in 2005. Since then, we have launched a network of company owned stores (multi and mono brand), s-i-s, corners and franchise stores. We currently operate six owned, 12 franchise stores, 45 corners, totaling in a retail space of approximately 6.000 sq.m.